Every so often, a kitchen space is presented to our design team that requires particularly specialist attention. In this case, a beautiful Grade II* listed Jacobean hall situated near the Peak District National Park. The house sits beautifully in walled gardens with a perfectly symmetrical Georgian facade and wonderful views over rolling valleys and farmland. The kitchen space is large (approximately 8×7 metres) which for designers presents a challenge. Often large kitchen spaces are more difficult to design into. Added to this, the room is an unusual shape (not unexpected given the age of the house), but a challenge nonetheless. Further complications arise from various beams and supporting structure which require further investigation and structural engineering advice. 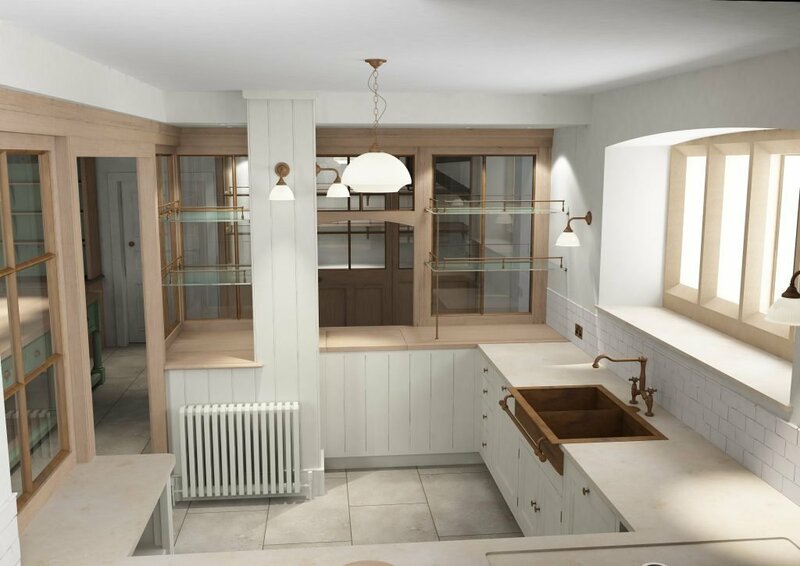 Artichoke was commissioned to undertake detailed kitchen design work on the back of our extensive 25 years experience designing into country houses. Our brief was to design a kitchen space which worked for a modern family but which was also sensitive to the architecture of the listed Jacobean interior. Following a number of visits and investigative work by Artichoke’s team, an idea began to formulate. This involved taking advantage of the existing beams and supports to divide the kitchen up using a combination of both architectural joinery and furniture. This is not an entirely new idea; it was extensively used by the architects of grand country houses to divide up parts of the domestic back ends of their servant’s kitchen and utility spaces. 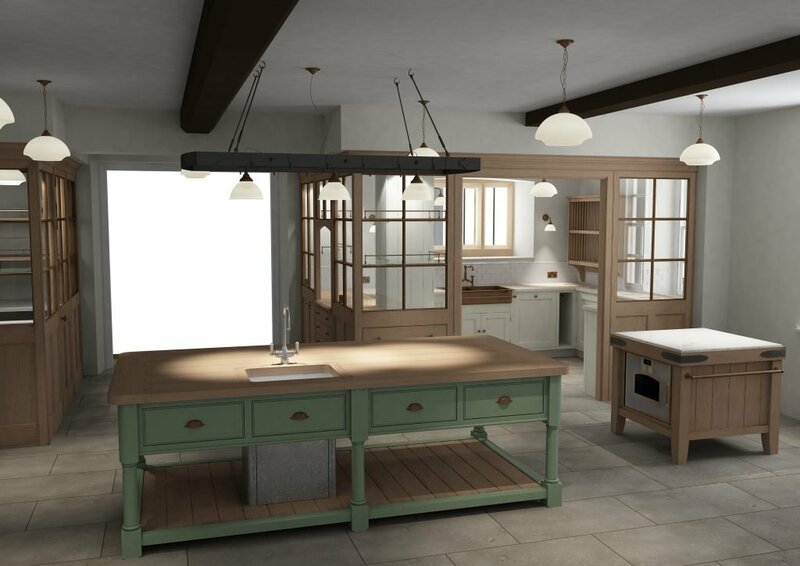 Artichoke’s 3D visuals show how architectural joinery has been introduced to the kitchen to divide the space up. The joinery elements feature solid brass glazed framed windows to ensure light floods the room. 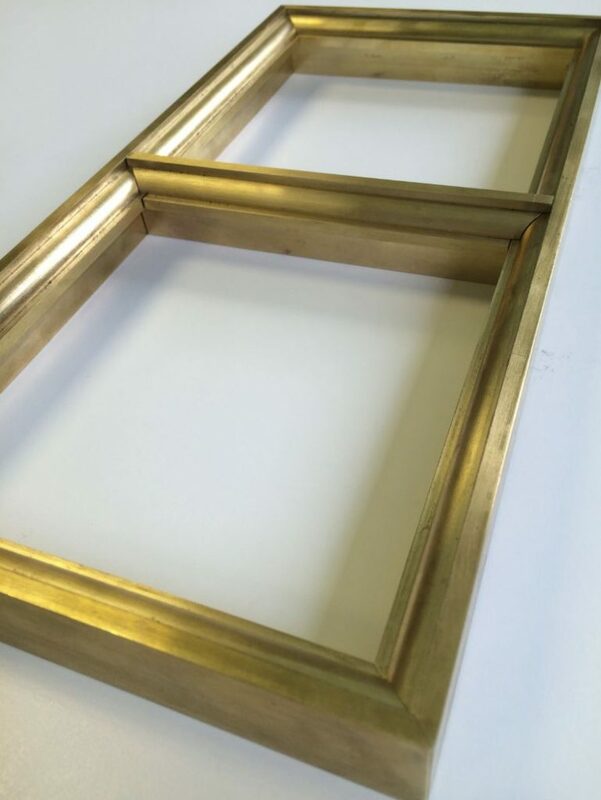 These windows are to be made from solid brass and are moulded. They open on pivot hinges, secured with brass ball catches embedded into the oak frames. The glass shelves within the interior hand painted furniture elements feature turned brass gallery rails supported on brass posts. The large central island is hand painted, with the colour taken directly from the main kitchen at Tyntesfield Abbey. The batterie de cuisine over the island will be in blackened steel, and the chopping block will feature brass straps (not steel as shown). 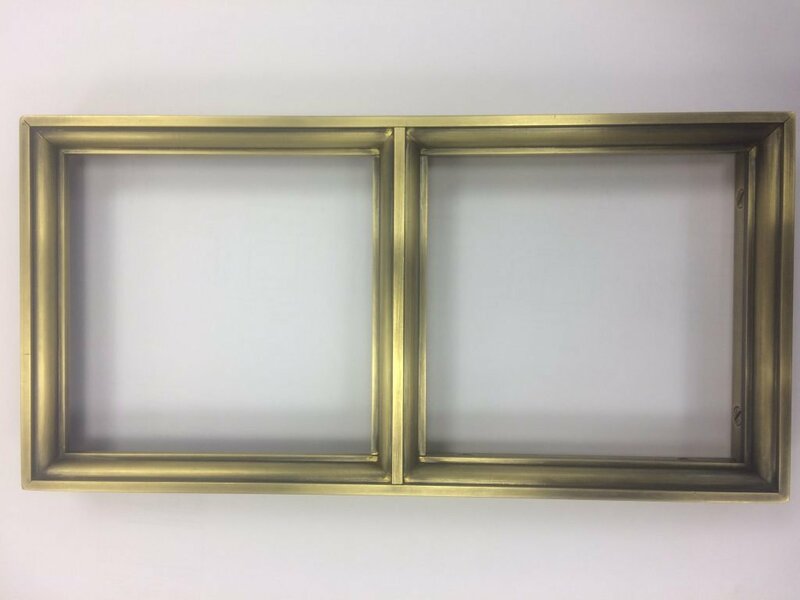 The image below shows one of the unwelded frames machined from solid brass. The glass we are setting within the frame will be restoration glass which has slight imperfections which refract light, making it well suited to match ‘old fashioned’ windows throughout the rest of the building. 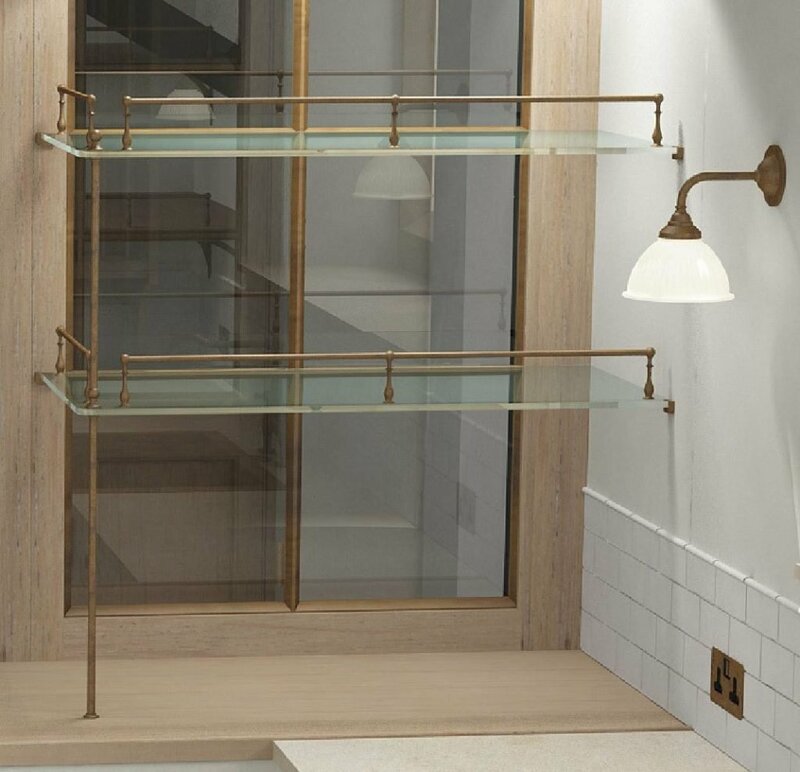 Close up detail showing the turned brass gallery rails mounted onto the glass shelves. 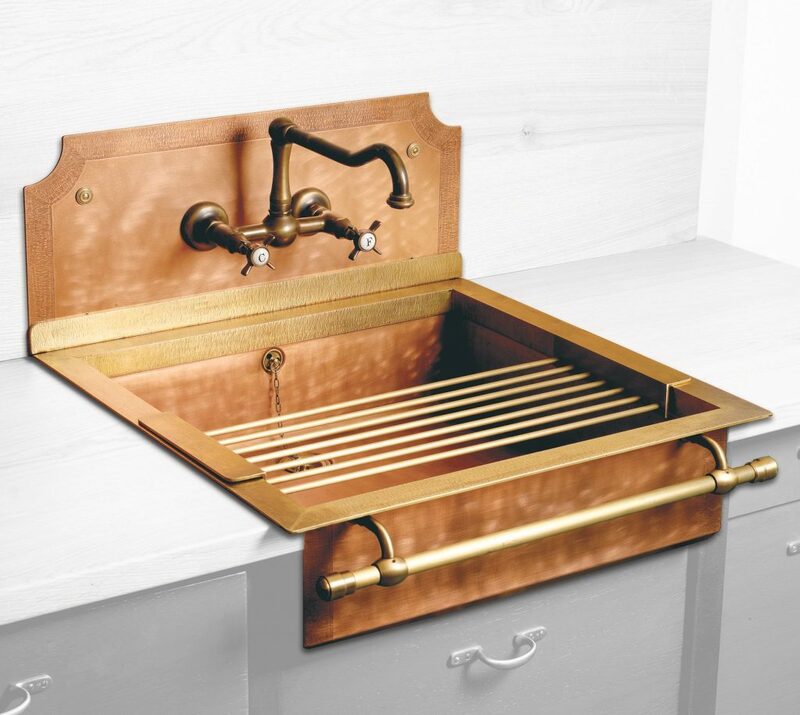 A heavyweight solid brass sink has been designed into the scullery to match detailing throughout the rest of the room. 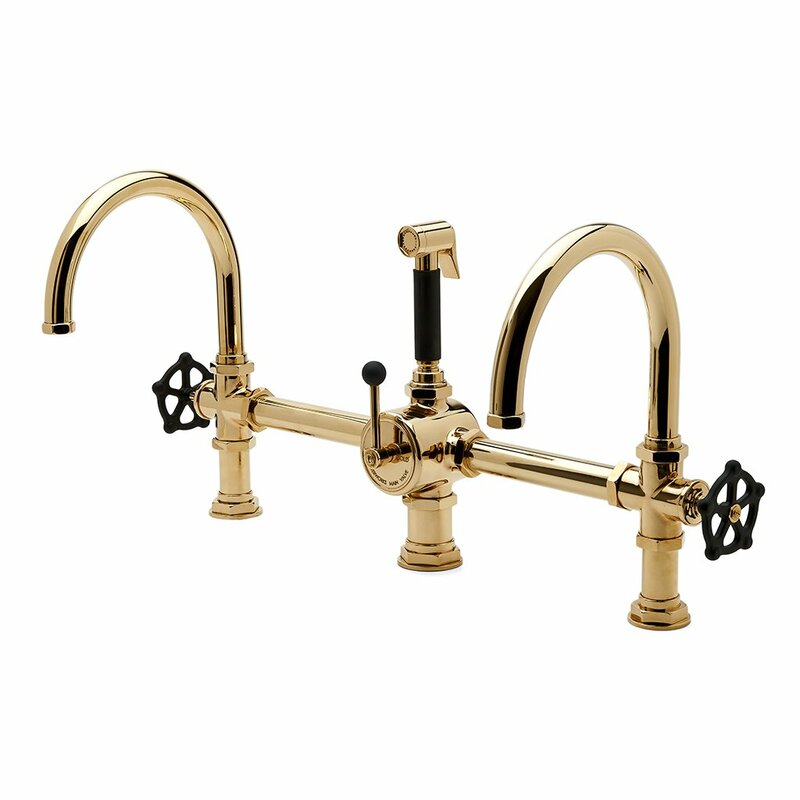 We have chosen to use the fantastic Regulator tap from Waterworks in unlacquered brass to ensure it ages. 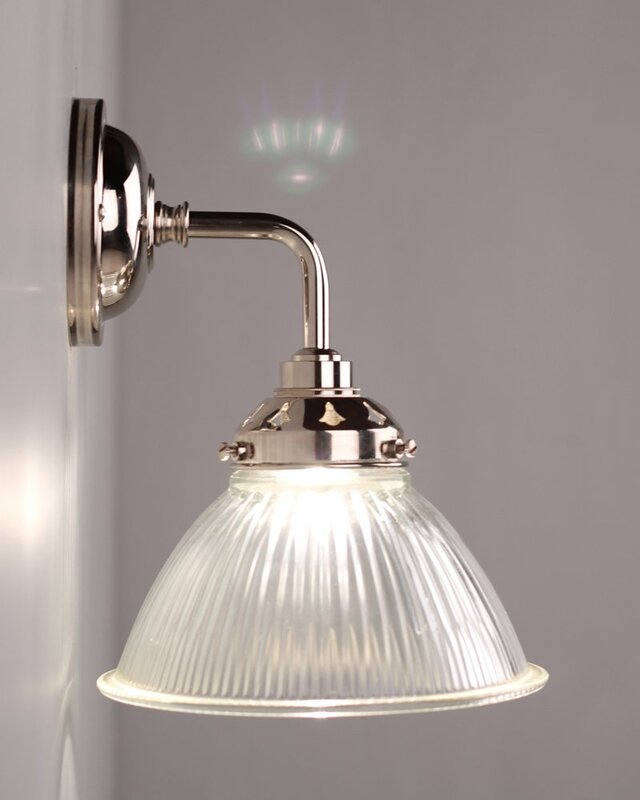 Artichoke has specified these lovely simple wall lights (in antique brass) with clear reeded glass shades. 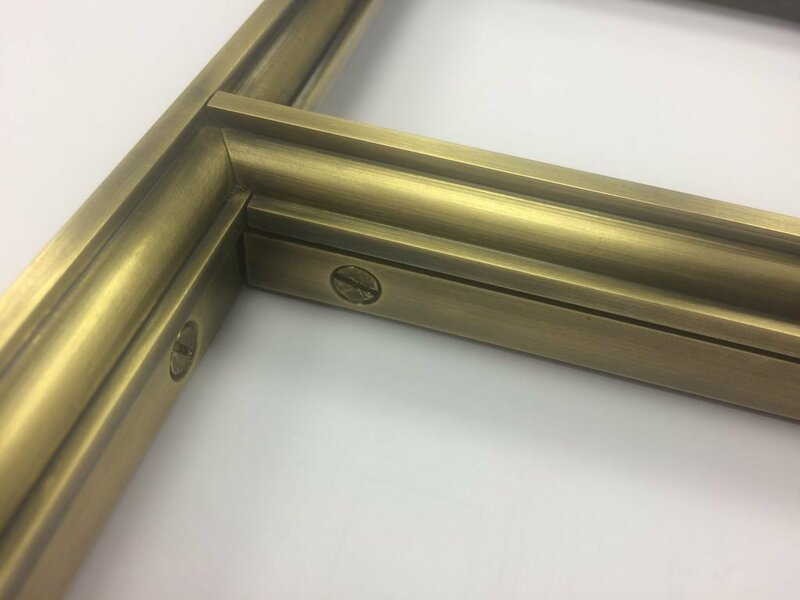 A welded sample for the solid brass windows with an aged patina. Each window is calculated to be around 12kg (with glass), with double windows being around 20kg. This will affect how the joinery into which they are set is re-inforced. 14 November 2016: Ongoing project. Further updates soon! More Case Studies of Artichoke’s work can be viewed by visiting our Profile page.